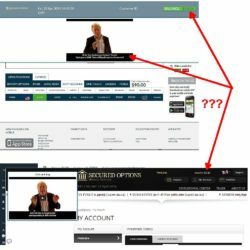 In this review we provide proofs showing that “Insured Outcome” is a binary options scam. It is presented by Oliver Breitner, founder and CEO of Insured Income. 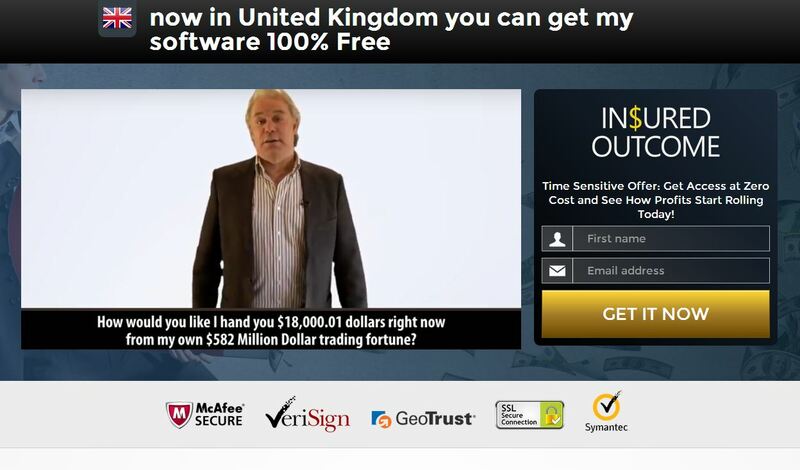 Breitner claims to be in possession of an auto trading software for binary options. It is so performant that it allegedly can give you $18,000.01 tomorrow in your account and make $540,000 per month for the rest of your life. It is called Insured Income because it never loses a single trade. Now you can get it for free. First of all Oliver Breitner is just a fictitious character played by a hired actor. The Insured Company is pure fiction, it does not exist. This guy certainly never appeared on CNN. This is a scam, people behind it need you to open an account with their unregulated broker and deposit money, because it will earn them an affiliate commission. If you then trade with their Insured Income software, you will lose your money. So don’t do it. On the Insured Outcome web site you can see some testimonials. But they are fake, stories are bogus and photos are stolen from other web sites. Look at the example on the picture on the right. You’ll see who does this photo in reality belongs to, he has nothing to do with Insured Income. The Insured Outcome app is the same crap as used by Safe Income and Dream Profits scams. It starts with a fake demo trade showing your balance increasing, but the real balance remains at $0 and you have to deposit at least $250 of your own money to start. So it certainly is not free and it requires you to risk your own money. Don’t do it, if you don’t want to lose. Insured Outcome is just another scam based on a recycled principle. It has nothing to do with real binary options trading, the app trades just on some random signals with no edge. You can try binary options for free on a demo account to see how they work and how you can make real money if you learn how to trade.